Situated on the idyllic Broadneck Peninsula in Anne Arundel County, Arnold is a great place to buy real estate. 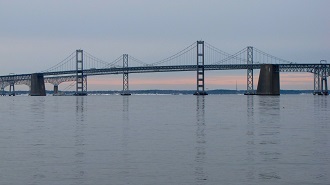 Close to major cities like Baltimore and Annapolis yet filled with small town charm and suburban comfort, the town is ideal for families, retirees, commuters and young professionals alike and is close proximity to the gorgeous beaches of Chesapeake Bay. With its high livability and friendly charm, this town is among the finest in Anne Arundel County. Arnold real estate offers close proximity to Annapolis and Baltimore as well as strong value and low interest rates, making it a great deal for interested buyers. 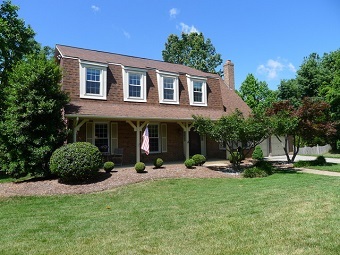 Homes for sale in Arnold and other real estate in Arnold, with their prime location and reasonable prices, are among the most desirable in Anne Arundel County. Arnold boasts a rich history that dates back many years. The area was first settled as farmland shortly after the War of 1812. Arnold prospered as a quiet agricultural community in its early years but was transformed into a suburb of Annapolis and Baltimore after World War II due to the rapid suburbanization of the country. Today the town has managed to retain its historic, small town charm and also boasts a high quality of life, abundant home choices and a superb location. The town offers easy access to Chesapeake Bay and its rich variety of recreational and leisure activities like fishing and sailing. It also hosts local parks like Arnold Park, Twin Oaks Park and Broadneck Park and enjoys close proximity to the beautiful Sandy Point State Park. It also holds the Bay Hills Golf Club, one of the most beautiful golf courses in Maryland. Attractions in Arnold include the Baltimore-Annapolis Bike Trail, Arnold Park and the beautiful Severn River. Other attractions nearby include Sandy Point State Park and the scenic Chesapeake Bay, a great place for boating, fishing, crabbing and water sports. Nearby cities like Baltimore and Annapolis also hold a wealth of attractions to explore. Events, activities and festivals close to Arnold include the Annapolis Arts, Crafts and Wine Festival, the Spring Festival, the Downs Park You Fishing Derby, the Quiet Waters Park Concert Series and much more. Anyone interested in Arnold homes for sale and other Arnold properties should reach out to local Coldwell Banker agent Mary Ann Elliott at 410-991-4000 today. Mary Ann has a line on the best deals in Arnold, and can help you sort through the best options for your lifestyle and budget. With its exceptional quality of life and affordable property choices, Arnold is one of the hottest real estate opportunities in Maryland today.